Each have their own culture, charm and character. 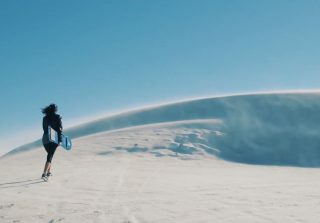 Looking to ditch post-working-week hangover and indulge in some wholesome daytime fun? We’ve got just the ticket. 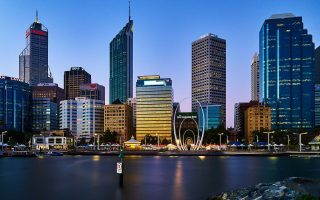 Check out Perth‘s best weekend markets – each of which have their own culture, charm and character. Better yet, they’re a great way to pick up a bargain or something special and are free to browse. You get a feel-good fix by rising and shining with the early birds while doing your bit for small businesses by keeping it local. Double win! The “Subi” Farmers’ Market is one of the longest-standing farmers’ markets in Western Australia and proudly supports the sustainable, the healthy, and the local. It’s focused on creating and nurturing a sustainable culture and “clean, green” lifestyles. Nourish yourself with a tasty brunch, toe-tap to some live entertainment, or simply meander through the vibrant assortment of produce stalls, capturing the colourful, Insta-worthy set-ups in all their glory. The feel-good market gets a gold star for community spirit by passing on all profit to Subiaco Primary School. We’ll raise a kale smoothie to that! Head down to Applecross for some of Perth’s finest local craftsmanship and musical talent. The Perth Makers Market offers a collection of unique goods, brought by the skilled hands of Western Australia’s creative community. They’re set against the inspiring backdrop of the Swan River and city skyline, making for some beautiful browsing. Supporting the community is high on the market’s agenda and not-for-profit organisations are welcome to set up a stall to share their message and raise funds. 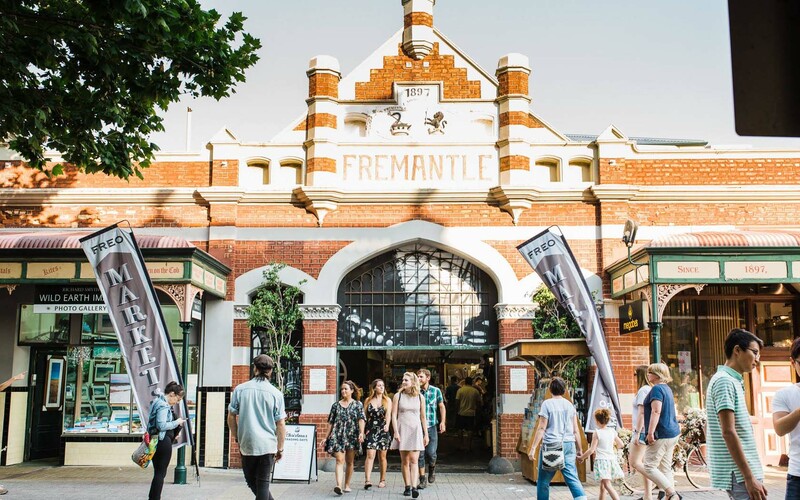 An establishment with over a century of trade under its belt, the Fremantle Markets are a favourite for locals and tourists alike. The impressive Victorian facade has an air of grandeur and stands as a proud reminder of the building’s long history. In fact, heritage is such an important feature that History Trail Tours guide visitors through the site and narrate tales of the market’s past. Scope out the mixing pot of traders in The Hall & The Yard, where they flog everything from trinkets and treasures to bao and baked goodies. Fun fact: Fremantle Market is one of only two remaining municipal market buildings in Western Australia and it’s still going strong after 120 years! If you like your skincare eco-friendly and your vegetables biodynamic, then Perth City Farm is the place for you. With an au natural appeal, the al fresco markets are set within the venue’s leafy courtyard space. You can expect homemade and ethically sourced goodness with plenty of opportunity to learn more about products from the growers and business owners tending the stalls. The popular market isn’t the only place to call Perth City Farm home; the urban sanctuary hosts educational programs, including sessions on recycled crafts and food preservation, and a seasonal Twilight Series for more deliciousness after dark. Nestled in the Perth Hills, Kalamunda Artisan Market showcases a spread of fine foods and artistry from across the region. Much to the delight of Perth’s foodies, the markets have recently launched a Gourmet Corner dedicated to top-notch artisan products in Kalamunda Town Hall. Teeming with handcrafted gifts, contemporary decor and furnishings, and a hub of the quirky and unique, Kalamunda is sure to have you happily browsing for hours.